This is a demo catalog of the project dedicated to the promotion of the Wine Cellar of New Zealand. 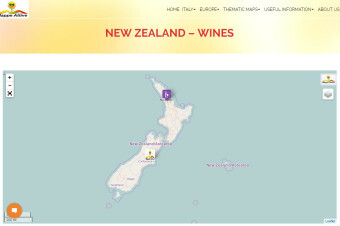 The catalog is inserted into the marker for the interactive map of the wine region correspondent and aims to show a selection of the products of the winery. You can enter your offers to sell directly via PayPal buttons Buy Now and Add to Cart, or connect the customizable buttons to the pages of the company.